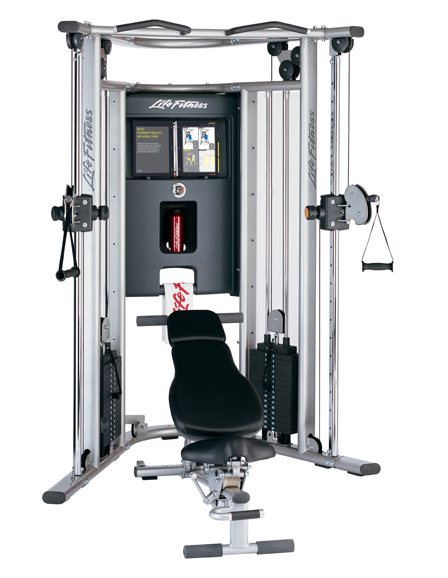 Expertly designed multi functional cable trainer. Dual weight stacks allow iso-lateral exercises (exercising limbs simultaneously but independently), to be performed. This is excellent for core body strength training and toning. Iso-lateral exercises increase balance and core strength. Pull up and chin up bars enable extra functionality. User defined motion pathway enables unlimited exercises. G7 offers a complete full body workout. Dimensions – length 124cm x width 178cm x height 210cm.